The AnchorLift Pro Anchor Puller is designed to make raising your anchor easy. Simply start your engine and motor forward to raise your anchor. AnchorLift Pro is ideal for anchoring in lakes and rivers with anchor lines that are rigged with less than 15 feet of chain. The chain will not thread through the AnchorLift Pro body. Its also an excellent way to easily pull up shrimp or crab pots rigged with nylon or polypropylene line. AnchorLift Pro w/ Standard Buoy 11"
AnchorLift Pro w/ Large Buoy 14.5"
AnchorLift w/ Jumbo Buoy 17"
How does an Anchor Puller Work? 1. 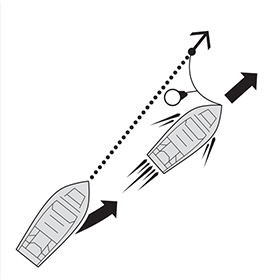 Slide the AnchorLift with buoy over your anchor line, anchor as normal, and drop AnchorLift into the water. 2. When ready to raise your anchor, simply motor forward around your anchor line to break your anchor free. 3. Continue to motor forward to float the anchor to the surface. The AnchorLift sliding bolt will lock the anchor at the surface for easy retrieval. The articles in this section are presented to help you better understand our AnchorLift and Anchor Ring anchor lift products. Included are helpful instructions on how to use an anchor lift and information to help you select the best product for your style of fishing. Q. 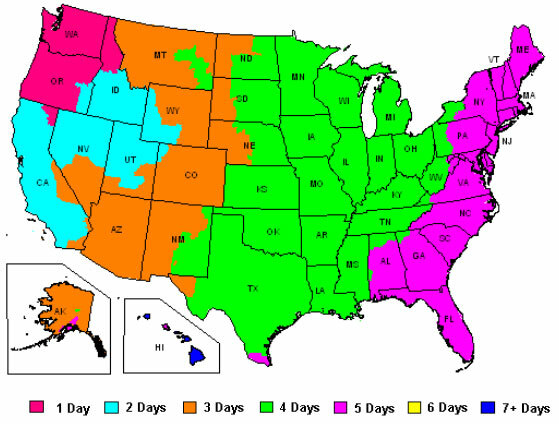 What size rope or anchor line will work with the AnchorLift and AnchorLift Pro? 3/8” to 5/8” is recommended. Q. What materials are the AnchorLift and AnchorLift Pro constructed from? The AnchorLift is made from marine-grade nylon that has stainless steel reinforcements at all wear points for added durability. The AnchorLift Pro is made from high strength aluminum and has an anodized finish for corrosion resistance. Both models have stainless steel hardware. Q. What size buoy do I need to raise my anchor with the AnchorLift? A buoy’s lifting capacity should be higher than the weight of your anchor. Using a larger sized buoy is fine and will raise your anchor faster by increasing the amount of resistance to pull against. Q. What kind of buoy comes with my anchor puller? Both the AnchorLift and AnchorLift Pro can be purchased with or without buoys. The buoys we sell are the A Series buoy made by Polyform which have a limited lifetime warranty. You can go to http://www.polyformus.com for more information on the buoys. Q. What is the AnchorLift warranty? Limited lifetime warranty on both the AnchorLift body and Polyform buoy are standard. Q. How do I know if I need the AnchorLift or Anchor Ring anchor puller? The AnchorLift is designed to work with an all rope rode. The Anchor Ring is suggested to be used when you have a rode with at least 15 feet of chain. Q. What are the benefits of the AnchorLift Pro? The AnchorLift Pro is designed for heavy-duty applications and rigorous conditions. Aluminum anodized body is virtually indestructible. Q. Can the AnchorLift be used along with an anchor winch or windlass? Not recommended. The purpose of the AnchorLift is to do the job of a winch or windlass when they are not practical options. Always operate vessel in accordance with Coast Guard and other applicable regulations and guidelines. Use extreme caution when anchoring in moving water and when letting out and retrieving the anchor line. Always keep your anchor line free of tangles and away from the propeller. Do not use where loss of property or safety may be at risk. Slide the AnchorLift over the end of the anchor line, threading the line under the bolt. Knot the anchor line near its end and fasten the line to your boat. Release the anchor by sliding the bolt to the up position, allowing the anchor line to slide through the AnchorLift. 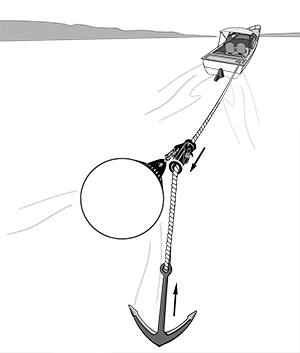 When the anchor and boat are in the desired position, toss the AnchorLift into the water. With the AnchorLift on your anchor line, motor your boat forward around the anchor, taking care to keep the anchor line clear of the prop. Proceed slowly – at roughly 5 knots – until the anchor has released from the bottom, then increase speed slightly – 6 to 8 knots. Do not continue forward if the anchor does not break free. The Anchor line will slide through the AnchorLift and float the anchor to the surface. 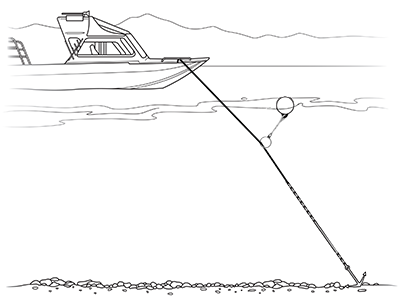 When the anchor reaches the surface, shift into neutral and pull in the slack anchor line. Who Uses an Anchor Ring? The Anchor Ring was developed by Ironwood Pacific in the footsteps of the popular AnchorLift product. Fishermen looking for an easier way to raise their anchors needed something that could accommodate all chain or chain and rope combination anchor lines. Commonly used for saltwater applications the Anchor Ring is simple to use and effective at raising your anchor to the surface. Off shore anglers using long anchor chain and rope chain combinations like the easy to use functionality. Charter boat captains like the Anchor Ring because it slips over their anchor chain when they are ready to pull anchor and works to quickly bring their anchor to the surface. Anglers facing strong currents wanting an easier way to haul in their long anchor chain. This warranty does not apply to normal wear and tear or lost hardware. In no event will Ironwood Pacific, Inc. be liable to the purchaser or other party for damages, lost savings or profits, or other damages arising out of the use or inability to use the product.